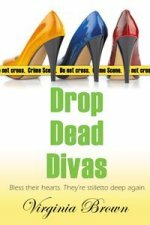 Trinket and the Gang Will Stop At Nothing To Clear A Diva's Husband of Murder Charges. You'd think a midnight prowler would have sense enough to get out after being discovered by a group of middle-aged women armed with flower vases. Or at least stop what he was doing. Not this one. Despite our menacing appearance, he kept opening cabinet doors and drawers. Our intruder wore what looked like a black Ninja outfit. It did not flatter. He was a bit chunky and not much taller than me. Nor did he move very fast as Gaynelle and I bore down on him like a freight train. Instead of screaming in fear and fleeing out the front door--which stood wide open to help facilitate his escape--he turned away from the cabinet he had opened and threw something heavy. It was a Mason jar, and it hit poor Gaynelle right smack in the middle of the forehead. She dropped to the floor like a sack of flour. I looked down at her, then up at the masked intruder. Eyes glittered at me from the tiny eyeholes, and as he seemed to be unarmed--no more Mason jars at hand--I left out a bellow and charged him. 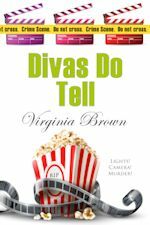 VIRGINIA BROWN is the author of more than fifty novels in romance and mystery. 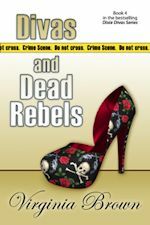 Next up in her bestselling Dixie Divas Mysteries: Divas and Dead Rebels. 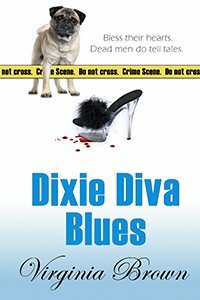 Also coming soon: the Blue Suede Memphis Mysteries and Virginia's mystery/drama sage, Dark River Road. Until this year murder was something I read about, not something in which I was an active participant. That has greatly changed since my return home. Not that I participate in heinous acts of murder, of course. No, it’s more like I’m involved in the clean-up detail afterward. So to speak. Now, I did not in any way seek out this new pastime. After all, it has its hazards. Nor do I ever see it coming before it strikes. I can be especially obtuse. For the most part, I amble along until I take the last step off a metaphorical cliff into a murder case. In the past few months it has begun slowly: a hint of warning here, a smidge of difficulty there, then full-fledged calamity strikes. It’s not as if I am unaware that danger is out there. Usually, I am the nagging voice warning people to stop at the crosswalk; watch for cars; yes, the dog bites; just leave the corpse in the closet. But not this time. This time, disaster blasted in from the Mississippi delta like a runaway freight train. It all started one hot afternoon when Bitty Hollandale and I sat out on the front porch of her antebellum home in Holly Springs, Mississippi. My name is Trinket Truevine, and I live with my elderly parents about three miles outside the Holly Springs city limits in a house named Cherryhill. It is the house in which I grew up, an antebellum-style that is listed on the Historical Register because it had the misfortune of being set on fire by the Yankees a hundred and some-odd years ago. We tend to remember things like that in the South. Bitty Hollandale is my best friend/first cousin. We grew up together and are apt to finish one another’s sentences, and far too often, our minds run in the same direction—usually the wrong way. This September, north Mississippi sizzled in the heat. It hasn’t always been like this. Once upon a time about thirty or forty years ago, the month of September was a pretty firm dividing line between summer and fall. I can remember going to the Mid-South Fair up in Memphis in late September wearing a coat, gloves, and hat. Now tank tops and shorts are the more common attire. While I’m not going to argue cause-and-effect with global warming enthusiasts or detractors, suffice it to say that Bitty and I sat on the afore-mentioned front porch of Six Chimneys—we like to name our older homes—under ceiling fans and with cool drinks firmly in our hands that hot September afternoon. We would have been inside if not for the particularly strong stench emanating from the solution used by a pest control company. Old houses attract more than enough species of creepy crawly things and must be regularly sprayed. It was certainly bad enough to drive us out of the air conditioning and onto the porch. Fortunately, we both wore cool clothes. Bitty had on a sleeveless tangerine top and tan capris, and I wore a blue tee shirt and denim capris. Our topic of conversation had drifted to the Hummingbird Festival held at nearby Strawberry Plains every September. I waxed enthusiastically about the coming event. Bitty turned wide blue eyes on me as if she had no idea what I was talking about. I snorted. It’s a very unladylike sound, but that’s one of the many differences between Bitty and me. She sniffs daintily. I snort rudely. 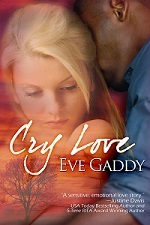 When she put the back of her hand against her forehead, I resisted the urge to toss what was left of my drink at her. For one thing, I’m accustomed to Bitty’s theatrics by now, and for another thing, she wears her pug like a fashion accessory. Said pug is rather elderly, has only three fangs and a tendency to flatulence, and brooks no insults to either Bitty or herself. Chen Ling—I have recently been forbidden to ever again use my favorite name for the dog since Miranda Watson bought a miniature pig and named it Chitling, too—is Bitty’s constant accessory. Chen Ling bites when annoyed. Chen Ling is easily annoyed. So instead of wasting a good mimosa, I drained my glass and got up from the wicker chair where I’d been comfortably supported by fat blue pillows—they contrast nicely with the circa 1845 pink house—and announced my intention of going for a refill. 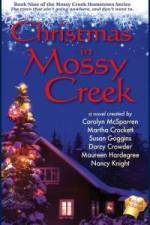 Chen Ling growled, Bitty said something quite rude, and I was still smiling as I went into her kitchen. The kitchen has been newly remodeled, and while it’s lovely, I can vividly recall the damage done by a fire that necessitated the remodel. Thankfully, Bitty no longer attempts to cook. Not only can she again afford to have Sharita Stone come in to cook a week’s meals for her, I’m pretty sure the firemen insisted upon it at their last meeting. It saves more than just antebellum homes from total destruction; it also saves volunteer firemen from unnecessarily dealing with hysterical, half-dressed, fully-drenched women. When I returned to the porch, Bitty set her drink on the wicker side table and took the bottled water for the dog. Chen Ling drank half—yes, from the spout—then smacked her doggy lips, clacked her three front teeth together, and settled down on Bitty’s lap. I nodded agreement because really, she’s right. Bitty was reared at her mother’s knee learning every social convention any hostess could dream up and use to put another hostess to shame. My upbringing was different, although not as much as one might think. Both our mothers had strict social guidelines, but where Bitty’s mother, Sarah, came from money and that seemed to require lots of social obligations most of us never have to hear about, my mother, Anna, came from a genteel but middle-class family with fewer rules. Bitty learned the proper function of every piece of dining utensil from a cocktail fork to a fish knife. My siblings and I learned not to throw dining utensils at the table. My father, Edward Wellford Truevine, is a year older than his now-deceased brother, who was Bitty’s father. That makes Bitty and I first cousins. The best friends part of our relationship happened when we were around six, and held strong all through our childhoods, until young adulthood took us down different paths. Even though I married and moved off and only returned to Holly Springs a little over nine months ago, we picked up right where we left off in terms of friendship. In a world that often seems to have gone crazy, this continuity is comforting. As well as a bit dangerous at times. Since returning home, my friendship with Bitty and a group of local women in a club known as the Dixie Divas has encountered... shall we say, rather bizarre situations. The oddest situation being murder. Until this past year, I had never known anyone who was murdered or a murderer. My education has broadened quite a bit. By that, I certainly do not mean that she is in any way to blame for the actual murder or murders. Or murderers. It’s just a very odd coincidence that in one way or another she has been connected to each of the deceased. Despite my occasional jest at her expense—and only in the most loving way—I am well aware that Bitty just has the bad fortune to know most everyone in and around Holly Springs. A few spiteful people have mentioned that she seems to draw trouble these days, but I am not one of them. Well, not often and never in anyone’s hearing that would dare repeat it to her. Of course, Bitty’s last divorce—from a newly reelected state senator—had been rancorous enough to draw attention from all over Mississippi and the nation’s capital. His unexpected death and the subsequent investigation had tongues wagging from the east to the west coast, I understand. Certainly, after it was all over, Bitty had gained a lot of male admirers who did not hesitate to send marriage proposals to a wealthy "widow” by mail. If most of the proposals had not come from the prison population, Bitty may well have embarked upon another adventure. Thankfully, Jackson Lee Brunetti, her attorney and chief male admirer, does an admirable job of keeping away the riff-raff. He’s tall, handsome, of Italian descent, and is hopelessly in love with my cousin. Bless his heart. Now, there’s a match made in practicality paradise: a shrewd lawyer and a client prone to idiotic acts of self-incrimination. What could be more perfect? 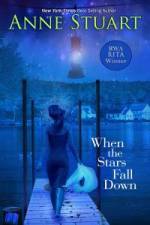 That afternoon on her porch, I had actually begun to think the drama and danger of the past few months just might have ended forever. After all, we had gone for nine weeks without a single bit of trouble out of the ordinary. By that, I mean no one we knew had gotten murdered. Or arrested for murder. I felt congratulations were in order. Bitty "hmmphed”at me but didn’t argue the case. She should have. I have since learned that I have a tendency toward premature congratulation. One would think I would have realized that before. In retrospect, maybe I am still vulnerable to insanity. After all, I had recently divorced my husband of nearly thirty years, quit my job, and after long phone conversations with my elderly—and unexpectedly mobile—parents, decided it would be best if I came home to care for them. Hah! It probably took me longer than any normal person would have required to figure out that my return home to nurse feeble parents was in reality a new position as travel agent and caretaker to an endearing, if neurotic, dog and a couple hundred feral cats. My parents require no nursing, just chauffeuring to and from airplane and boat terminals. I am willing, if not delighted, to oblige. In return, they have been willing, if not delighted, to watch Bitty and me self-destruct in a number of inventive ways. Bitty is very creative. I am a lemming. I promise myself I will not join in to whatever madness she concocts next, but I almost always do. I do not really know why. Perhaps one day a doctor will explain it to me once I’m safely installed in a padded room at Whitfield, the state "rehabilitation” facility for people prone to idiotic acts of self-destruction. Cady Lee Forsythe, a Diva and long-time friend, has observed that putting Bitty and me together in the same space is quite similar to putting gas and a lit match together in the same space: highly combustible. Maybe it’s true. We do tend to draw unusual occurrences into our sphere of the planetary orbit. It must be Bitty’s magnetic field. Apparently we had gone back to the topic of Trina Madewell. I sighed. "You must admit, the settee is uncomfortable,” I said soothingly. While I tried to figure out that non-sequitur, Bitty rambled on about other world events of great importance, such as how the rule about not wearing white after Labor Day should be amended since it was still so hot in September now, and how Trina and Trisha Madewell had put out a color brochure advertising their family home as a bed and breakfast but didn’t include one word about a famous murder there, and didn’t I think it was spiteful of Miranda to name her silly pig something so close to Chen Ling’s name... Truthfully, somewhere in there I zoned out. I listened to the katydids in the trees hum louder and louder as the afternoon lengthened, and wondered idly if Bitty’s sprinkler system would drown out the cricket serenade when it switched on at dawn. I thought about my parents and how happy they seemed lately, poring over travel pamphlets at the kitchen table while I looked for the Maalox and prayed they wouldn’t try to climb Mount Everest or the Matterhorn. I had recently hidden a lovely brochure they sent off for about visiting pyramids in the Valley of the Kings in Egypt. Twice. My parents are nothing if not resourceful. I fully expect to one day receive a post card from Cairo with a photo of both my parents waving to me from the back of a disgruntled camel. By then my mail will no doubt be addressed to me in care of Whitfield Sanitarium. Or the nearest bar. I briefly contemplated the relaxing properties of champagne that allowed me to deal with not only septuagenarians, but grumpy pugs and rattle-brained cousins. If not for fermented grapes, I definitely would be on strong medication. Too bad my stomach does not allow me to be an alcoholic. I think I have all the rules down pat. Then Bitty brought me back from my reverie by leaning over to poke me with one finger. "You’re not listening,” she accused. Bitty said something quite rude, I responded by fanning my face with one hand and drawling, "My, my, it’s so vairy, vairy wahm out heah,” and then we both laughed. I suppose you have to be there to get the essence of our craziness, but we tend to enjoy it. Perhaps that’s one reason we get into trouble without even trying. As adolescents, it wasn’t surprising; as adults, my mother is mystified by this new course our lives have taken. So am I. It’s unnerving that we can just be sitting around and a chance phone call, or some other means of modern communication, suddenly plunges us into a world of trouble. Almost always, Bitty is right smack in the center of the chaos. So imagine my surprise when trouble came from a completely different direction. 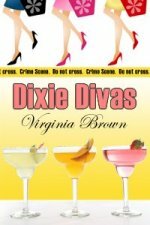 There we were on the porch discussing—arguing—about whether or not saying Trina Madewell usually looks like an unmade bed is gossip or fact, when Rayna Blue screeched her SUV to a stop in front of the house. It’s a new one to replace the last one that took a dive off a back road and into a gully, and very shiny. No one has dinged it yet in the parking lot of the Piggly Wiggly or at Walmart. That’s why it seemed odd to me that she would slam it into Park and jump out and leave the driver’s door wide open. Rayna was going so fast she was almost running as she cleared the curb, sidewalk, and shoved open the iron gate to Bitty’s fence. Her dark hair was pulled straight back from her face into a pony tail, and she wore a sleeveless white blouse and jeans with what looked like paint all over them. 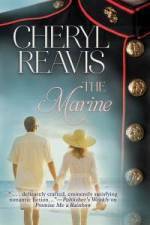 Her paint-smeared tennis shoes were untied and the laces flapped against the brick walkway as she came up to the porch. Rayna is married to Rob Rainey, who is a local bondsman as well as insurance investigator. Rob has been kept pretty busy lately bailing out Divas, so naturally, we both said we would go with her. We didn’t even ask what kind of trouble or where we were going. We just got our purses—and Chen Ling’s traveling harness—and climbed into Rayna’s car. I looked over at Rayna once we were moving down College Street toward town. 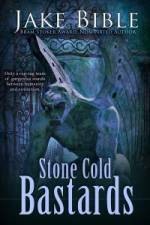 Fine white lines etched her face, and tension made her knuckles white on the steering wheel. This was something really bad, I figured. Rayna just didn’t get this upset about most things. Not that she is immune to fits of pique; the last one she’d had got both of us into trouble way over our heads. But that is the exception rather than the norm. "You okay?” I asked her, and she shook her head. Rayna pulled the car over to the curb in front of a house I recognized, and hit the horn twice. Gaynelle Bishop opened the front door and scurried down the walk toward us. She’s a retired schoolteacher and long-time Diva. Now that she doesn’t have to teach children to sit still, listen, and stop cussing in class, her entire appearance has changed. She used to wear plain cotton dresses, cats-eye glasses, and short hair that was dull gray. That’s altered to silk blouses, silk-blend slacks, contact lens or designer eyeglasses, and hair cut into an inverted bob and colored a nice shade of light brown. Once Gaynelle was in the back seat next to Bitty and the pug, Rayna turned in the driver’s seat to look at all of us. Rayna’s fervent comment sounded more like a prayer, and I added my own, as I am pretty sure Bitty and Gaynelle did, too. Chen Ling made the only sound in the sudden silence that fell, and that was a doggy sort of utterance that I generously decided to think of as her own kind of prayer on Rob’s behalf. 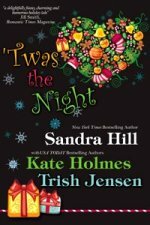 Turning back in her seat, Rayna squared her shoulders and started the SUV. We left Holly Springs and headed west to Clarksdale, none of us knowing quite what we would find when we got there. Whatever it was, I had the nagging feeling that it would not be good.